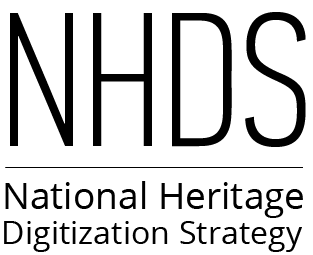 The National Heritage Digitization Strategy (NHDS) Steering Committee is inviting nominations from Canadian archivists, librarians, curators, researchers, creators, and genealogists to fill positions on the NHDS Steering Committee. We are particularly interested in applications from Indigenous or other traditionally under-represented groups. Members will be drawn from across Canada and will be chosen based on relevant experience and perspective. The group meets approximately nine to ten times per year via teleconference and one to two times a year in person. Any costs incurred to attend meetings with be paid for by the Steering Committee members and/or their organizations. To learn more, please see the Steering Committee Terms of Reference and the NHDS Business Plan. Individuals may nominate themselves or another. Nominations should be sent via our online form no later than October 4th, 2018.